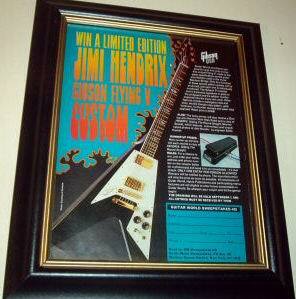 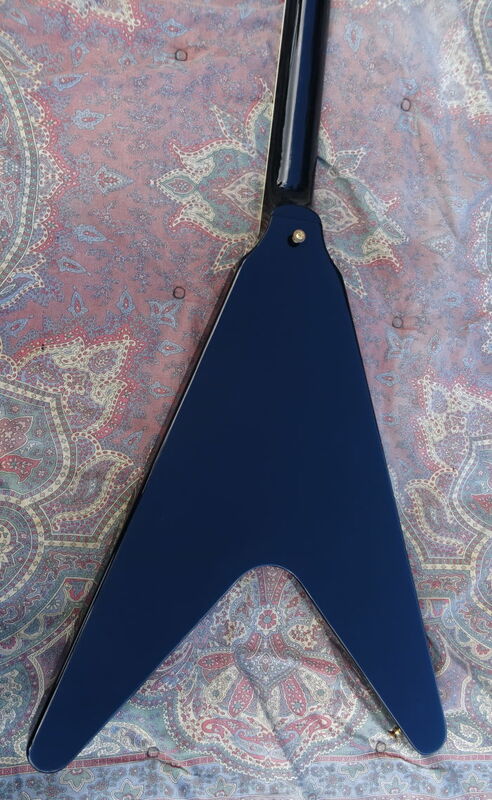 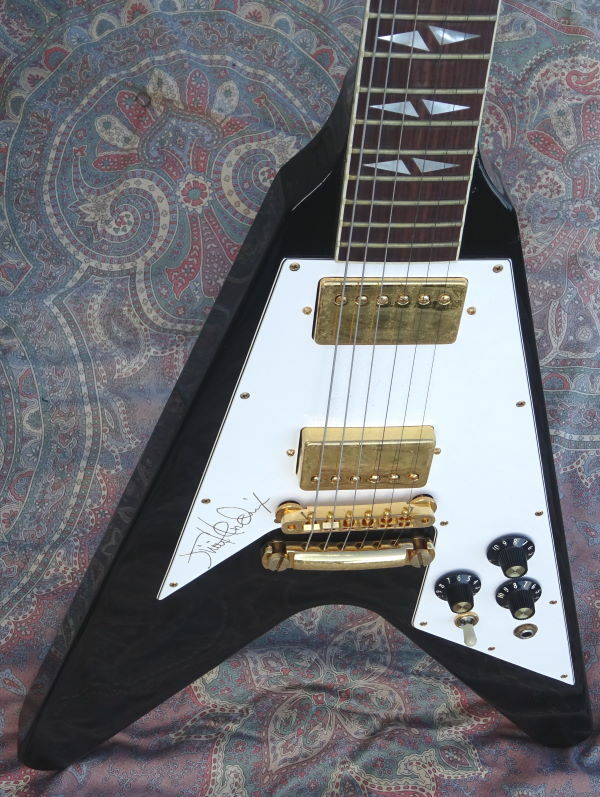 '91 FLYING V J.Hendrix(Limit Edition)Black,Hall of Fame,# 126 of 400,RARE, Near Mint Cond. 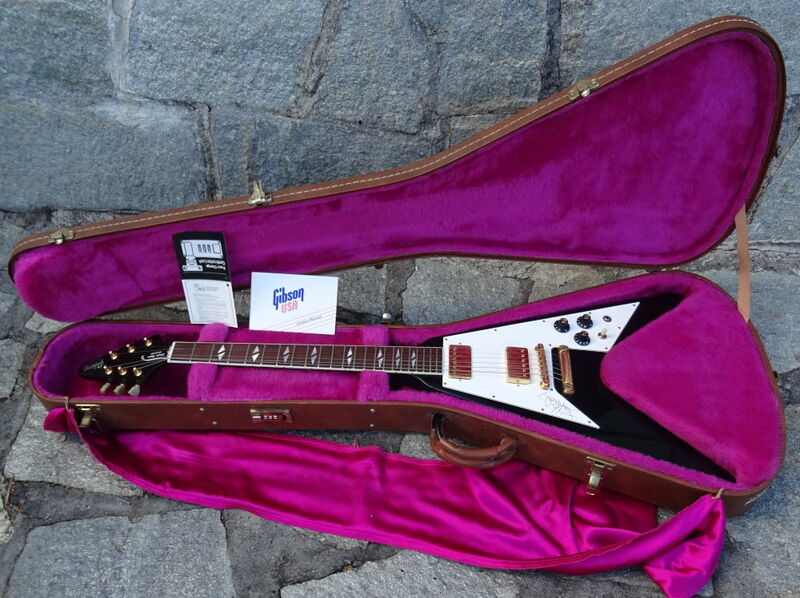 This Flying V is from a Gibson 1991-1992 limited edition of 400. 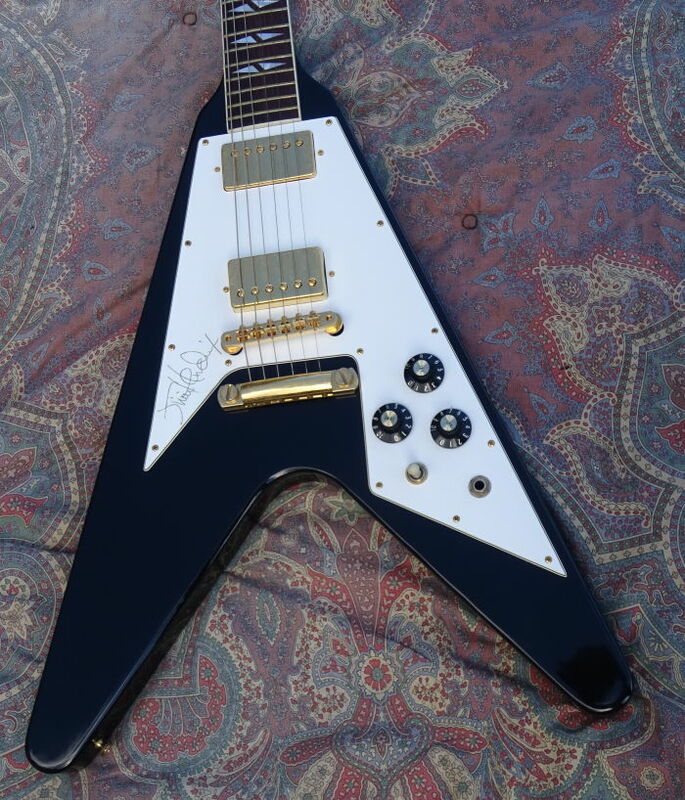 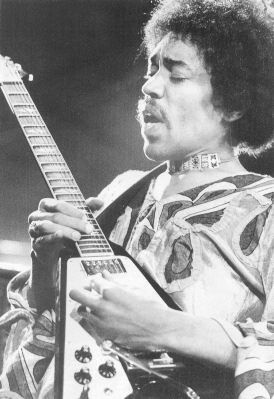 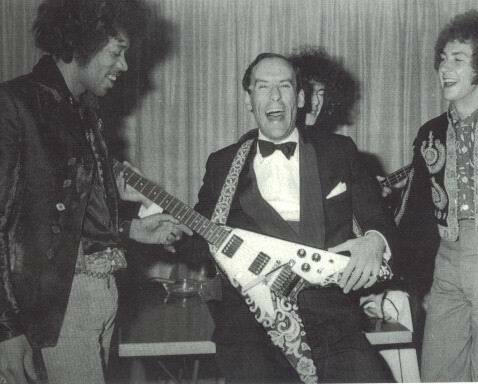 It has features and appointments not normally seen on a V such as sideways Gibson Head Logo, split diamond fretboard markers, and Hendrix Signature on the pickguard, and is modeled after the Flying V that Gibson custom made for Hendrix in 1969 that he played in Hawaii at the Rainbow Bridge Concerts.